Want Water in Arizona? First Find Out Where Other Wells Are! Arizona is an arid state and Yavapai County is no exception. We do not have much water, either on the surface or underground. The title of this post is obvious but also profound. Investigate the locations and depths of wells in the areas you may want to buy. If you are buying in a developed area, check with real estate agents who know the area and who are informed on water issues. See my blog post listing general information about properties in Juniper Mountain Ranches, Shadow Rock Ranch and Sierra Verde Ranch. Most of the lots in this area are recreational and used only a few weeks in a year. Most properties are on hauled water which is a utility just like propane. One can buy A LOT of Water for what a well costs. Remember that you have to pay for a well whether you get water or not. The Arizona Department of Water Resources (ADWR) maintains a database of registered wells. Here is a link that takes you to the ADWR Well Mapping Page. I find this mapping page is not very friendly. The cadastral positioning system that the ADWR uses positions the well location to the center of a 10-acre boundary. I also find that it is not very accurate even within that level of accuracy. I list and sell recreational properties in an area southwest of Seligman, Arizona. Here is a map that came from the ADWR website. 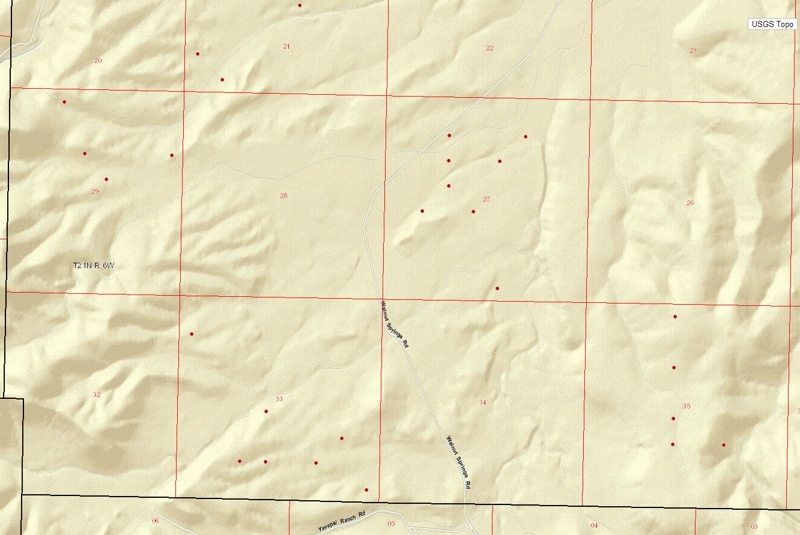 The round red dots are markers that show where the wells are. Most of the wells in section 27 have depths of 300 feet to 350 feet. In some areas near Seligman, depths of the wells may be 1,100 feet or more. The map below shows the same area in the form of land parcels. I had planned to do an overlay of well positions onto this map but I found the well location data coming from the ADWR map to be so inaccurate that the exercise was useless. This area is in an area having a checkerboard land use pattern. See my blog post explaining the checkerboard land use pattern here. 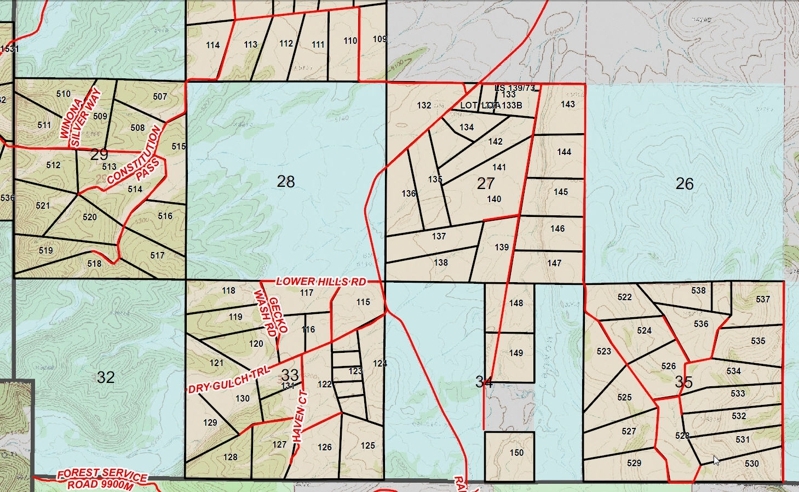 The sections with no wells are sections of land belonging to the Arizona State Land Trust. The work on gathering well information is quite tedious and time-consuming. I will help with this effort for clients who are committed to working with me.